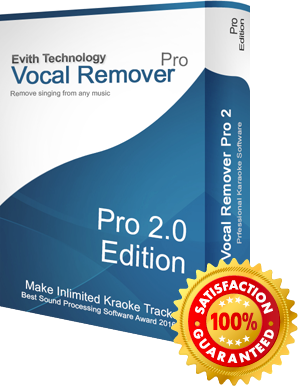 Online Vocal Remover is suitable for users who cannot download Vocal Remover Pro software (Mac & Mobile users) or for people looking for instant hassel-free karaoke track. Note that Vocal Remover Pro has superior sound quality than the online vocal remover, we recommend all users to download Vocal Remover Pro where possible. YouTube to karaoke converter can convert any music video on YouTube into MP3 Karaoke tracks without the singing. Vocal will be removed from the YouTube video. Now you can make karaoke tracks online without your own music file! Upload any mp3, m4a, ogg, aac, ac3 music track from your computer or paste a YouTube video link, Online Vocal Remover will remove the singings from your music or YouTube video and generate a karaoke track for you to download. Looking for better vocal removal quality? Try our professional vocal removal software for your Desktop PC.